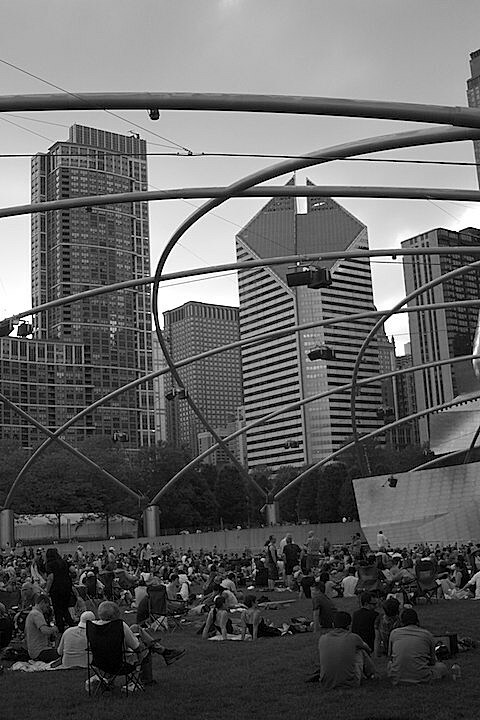 The City of Chicago’s annual, free music programs at Millenium Park‘s Jay Pritzker Pavilion, called Downtown Sound and Loops & Variations, will return this summer on Monday and Thursday evenings, respectively. The Downtown Sound lineup features Lee Ranaldo Band with Marc Ribot’s Ceramic Dog, Sharon Van Etten with Speck Mountain, An evening with Glen Hansard featuring Lisa Hannigan and members of the Frames, Lee Fields & the Expressions with Theo Huff & the Platinum Band, Dawes with the Cairo Gang, Dessa with Psalm One, and more. The decidedly more electronic Loops & Variations series boasts performances by Falty DL with Bill Kouligas, Matmos with Fonema Consort, ICE with Nosaj Thing, Dan Deacon, and more.